Fantasy Flight Games is proud to announce that The Force Awakens™ Core Set has now arrived for X-Wing™! The Force Awakens Core Set is now available as a special Force Friday release! While The Force Awakens Core Set is currently only available at select Force Friday locations, it is now shipping for wider release, and you can look for it at your favorite local gaming store later this month. 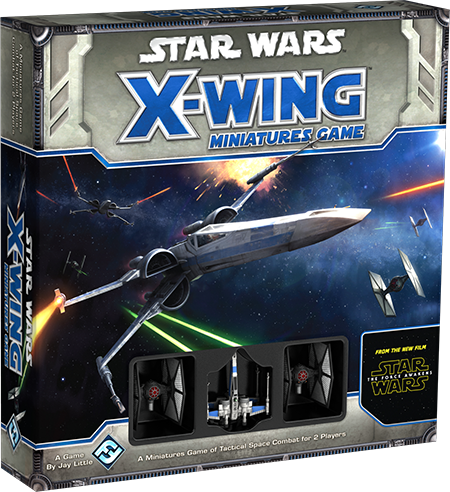 Featuring beautifully detailed painted miniatures, X-Wing is a two-player game of dramatic starfighter battles set in the Star Wars universe. 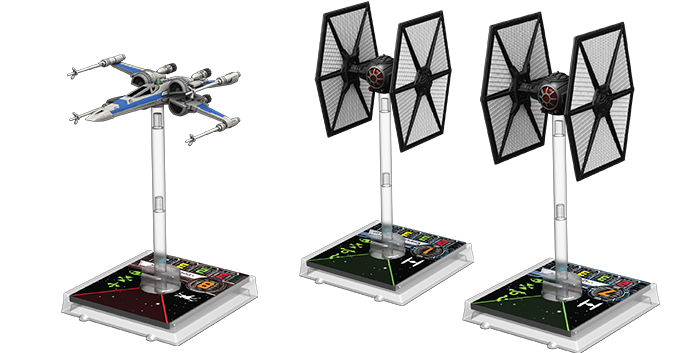 You and your opponent take command of Resistance X-wings and First Order TIE fighters, then battle head-to-head for the fate of the galaxy. Man your ships… And may the Force be with you! The Core Set’s T-70 X-wing and TIE/fo fighters are faithfully rendered at 1/270 scale. 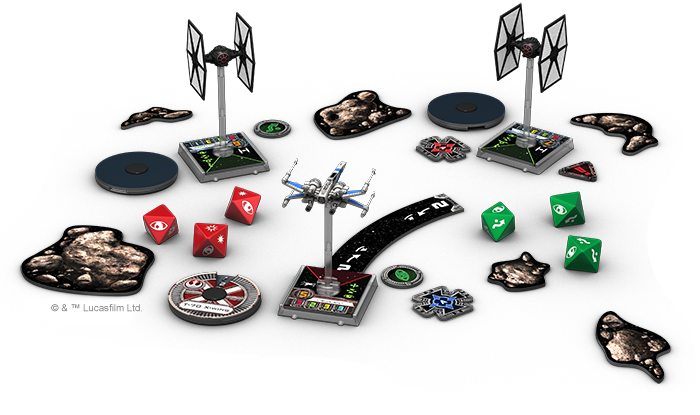 Painstakingly and faithfully created at 1/270 scale, these miniature starfighters come to life with intuitive rules, individualized maneuver dials and templates, and custom dice that make your combats fast, deadly, and exciting. 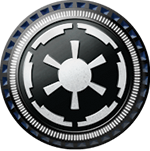 Each ship has its own maneuver dial, and each type of ship boasts a unique range of maneuvers. At the beginning of each game round, you secretly select your ship’s speed and bearing, locking it into the maneuver dial. Then, after you and your opponent have assigned maneuvers to all your ships, you reveal and execute them, starting with the lowest skilled pilot. A First Order TIE fighter reveals and executes a speed “3” bank maneuver. Whether you rush headlong toward your enemy to shower his forward deflectors in laser fire, or dance away from him as you attempt to acquire a targeting lock, you’ll be in total control throughout all the tense dogfighting action. Want to customize your ship and crew? In addition to its miniatures, maneuver templates, and custom dice, The Force Awakens Core Set contains more than a dozen ship and upgrade cards that you can use to send your ship into battle with different pilots, droids, and tech. 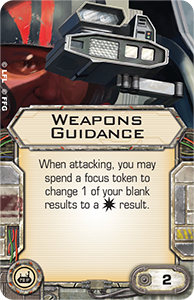 Each of these cards has a specified squad point cost, and as you assemble your squad, they’ll present you with a range of compelling decisions before you even fire up your engines. 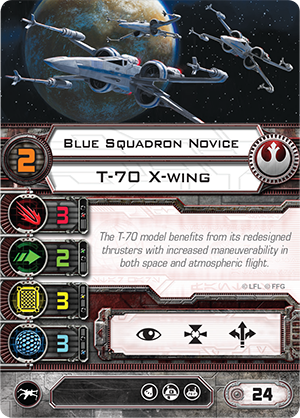 A Blue Squadron Novice outfitted with the Weapons Guidance tech upgrade costs the same twenty-six squad points as a Red Squadron Veteran but trades the Veteran’s higher pilot skill for the ability to spend a focus token to change a blank die result to a hit when he’s attacking. Take Your Games to Hyperspeed! With its easy-to-learn rules and beautifully detailed components, The Force Awakens Core Set quickly immerses you in the tense, fast-paced dogfights between Resistance and First Order starfighters. Then, once you get started, the galaxy is yours to explore! The Force Awakens Core Set features advanced rules and special missions that let you take your game to the next level. 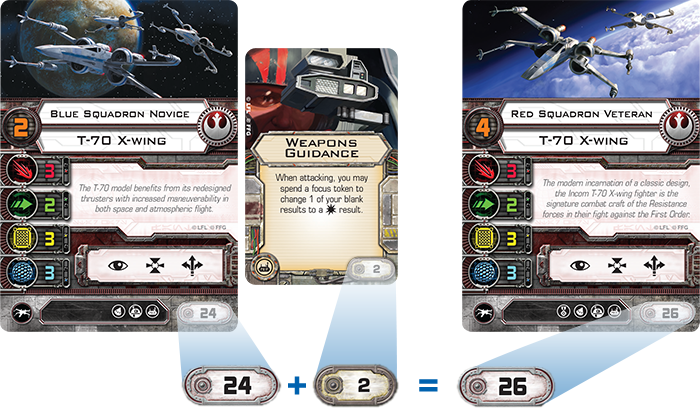 How Does The Force Awakens Core Set Fit with the Rest of X-Wing? The starfighters, pilots, and upgrades from The Force Awakens Core Set are fully compatible with the rest of the X-Wing Miniatures Game. You can command your First Order pilots and starfighters into battle alongside the ships and pilots of the Galactic Empire. The galaxy's Scum and Villainy include a notorious blend of pirates, mercenaries, and bounty hunters. When you build a squad, you choose one of these three groups and can use any of its ships, pilots, and upgrades. You can further increase your gameplay options by expanding your fleet with starships from Star Wars galaxy, past and present. 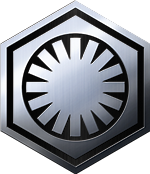 Many of the galaxy’s most famous starfighters and pilots are available in the game’s expansion packs. In addition to giving you the option to expand your Resistance and First Order squads, these packs allow you to command the most iconic heroes and villains from the classic Star Wars movies. 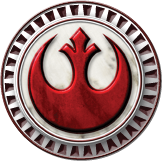 With these expansion packs, you can call upon the heroes of the Rebel Alliance, the deadliest aces of the Imperial Navy, and even the bounty hunters, pirates, and mercenaries of the Scum and Villainy faction! 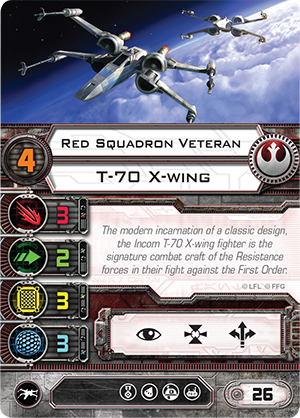 Additionally, we will publish a series of articles over the next several days that will more closely examine the Resistance’s signature T-70 X-wing, the First Order’s TIE/fo fighter, and what The Force Awakens Core Set means for the future of X-Wing Organized Play. Whether you’re a new player or a veteran of many dogfights, The Force Awakens Core Set is your entry to the thrilling and intense starfighter battles being fought between the forces of the Resistance and the First Order. Strap yourself into the cockpit of a T-70 X-wing or a TIE/fo fighter, and go fight for the fate of the galaxy!